The horses eat grass. Lots of grass. Since we are in the midst of a drought and the horses have long since eaten all the grass we had available on the part of our 40 acres dedicated to pasture, that means we must purchase grass and transport it back to the horses. I sure am glad someone cut it, dried it, and rolled it up into these big, relatively easy to handle bales! Do you think he could have ridden home balanced up here? Bridger leapt up on top of this five foot diameter roll of grass as soon as it was loaded on our trailer. How could he have resisted? 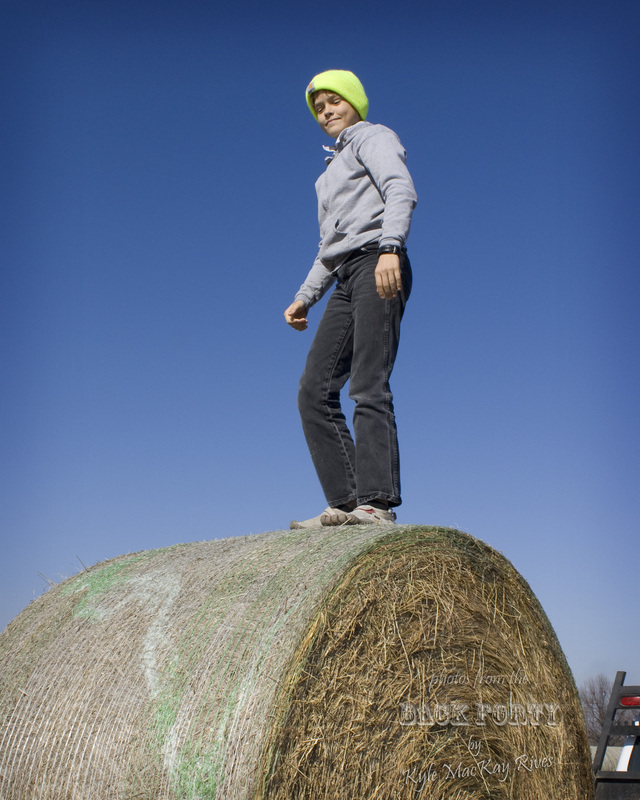 This entry was posted in photography and tagged 2012, bale, Bridger, farm, grass, hay, photo, Photograph, Photography.